Sean is a Masters-level counselor with extensive experience in the field of mental health and victimization. With a focus on childhood/adolescence, Sean has worked in a foster care setting, a mental health hospital, a crime victim advocates agency, and a nonprofit mentoring agency. 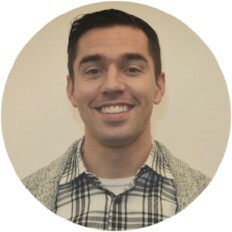 Sean is currently licensed as a sexual assault and trauma-focused counselor; however, he also finds particular interest in adolescent issues such as anxiety, depression, and bullying. He currently works at Big Brothers Big Sisters of Bucks County as a mentor and will soon begin classes at Gwynedd Mercy University to become a school counselor. Sean earned his Bachelor’s degree in Psychology from Dickinson College in Carlisle, PA. He later earned his Master’s in Counseling Psychology from Delaware Valley University in Doylestown, PA. He is currently working towards licensure.